Why fish and lodge on the Kenai River with Big Sky Charter and Fishcamp? Well there are a variety of reasons! Ability to mold a package that fits your needs. Big sky is located in the heart of the salmon fishing Kenai Peninsula. 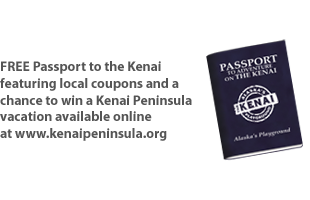 We are located in Sterling, AK which is basically the center of the Kenai Peninsula and only 70 minutes via vehicle to both Seward and Homer. Two locations where the highways end.